Worst episode of Fort Boyard ever. Clara Oswald may have just died but the Doctor has no time for grieving. 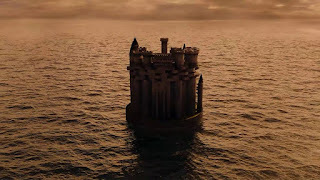 After being transported away by Ashildr to an unknown third party, the Doctor finds himself in an isolated castle in the middle of a vast ocean. However something is stalking him as he begins to investigate, and it isn’t long before the Doctor comes face to face with his own nightmares. Trapped in a rotating and reconfiguring castle, the Doctor must find a way to travel to room 12 while evading the Veil. 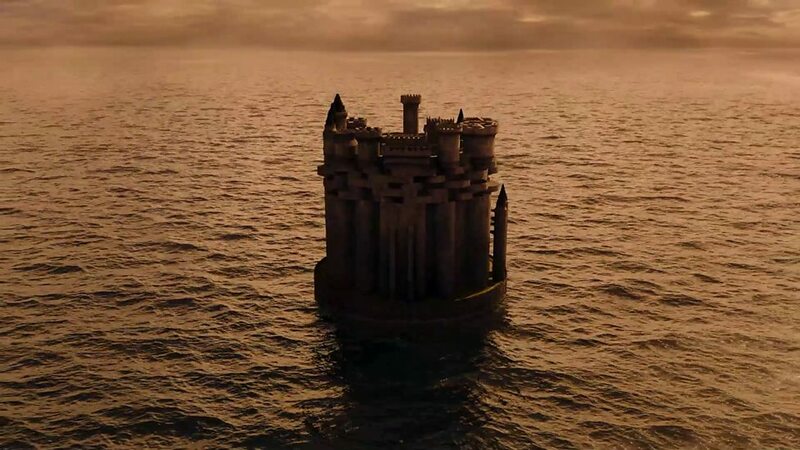 But as the mysteries of the castle become clearer and clearer, it’s going to take every bit of the Doctor’s resolve to escape. This season of Doctor Who has been a rather interesting one. Steven Moffat has always been one to tinker with the inner workings of the series to bring out something fresh, but this year seems to have mostly been a celebration of all those classic Who tropes. It’s been a series of mostly two part stories (regularly bringing back the much-missed cliffhangers) with plots that included a base under siege and UNIT getting involved in an alien invasion of Earth. That’s classic Who 101, and the one time it tried something different from the norm it failed rather miserably. Which begs the question, why fix what isn’t broken? 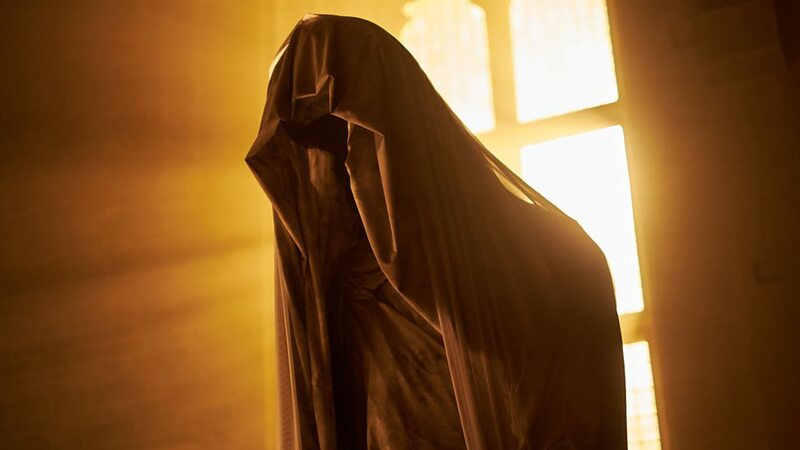 Because if the show wasn’t trying to constantly reinvent itself one way or another, we wouldn’t get episodes like Heaven Sent – and damn was this episode worth it. Admittedly the episode is one that may take some time to get to grips with. It’s a fairly slow paced affair until the final ten minutes or so, capitalising on the Doctor’s isolation and the growing mystery of the castle rather than featuring a lot of running away from monsters (the “running out of corridor” line being one of many highlights). It’s also rather complex in places, as well as most definitely skirting the line of the show’s supposed “family” atmosphere. Don’t get me wrong the dark, twisted and ultimately tragic revelation of the Doctor’s imprisonment is incredible, but I also really wouldn’t want to be the parent that had to explain that to their children. The Veil successfully pulls of capturing the stuff of nightmares – simple in design and concept yet so brilliantly executed you can’t help but be a little bit frightened even when you know what’s coming. With no other characters except a silent evil to play off of, it’s up to the Doctor to provide a convincing dialogue all on his own so it’s just as well that he’s a character that likes to talk to himself. Peter Capaldi absolutely excels in this episode, confirming the notion that the Doctor is at his most vulnerable when he is alone. For this first time in perhaps ever he’s trapped and can’t see the way out. Initially keeping his spirits high are his memories of Clara, their “conversations” brilliantly captured in a TARDIS console room mindscape reminiscent of a Sherlock mind palace. This isn’t the only visual cue borrowed from Moffat’s other show too, as the explanation of how the Doctor survives a rather big fall also bears similarity to how the great detective survived a similar fate. It all comes down to those last ten minutes or so though, when its revealed that the Doctor has been reliving this experience over and over, teleporting in a brand new copy of him (fresh from Face the Raven) each time he falls at the hands of the Veil. 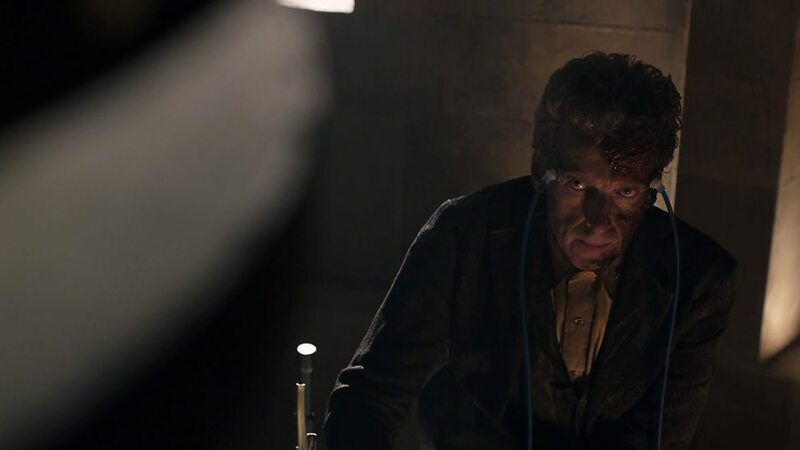 Over billions of years of repetition he’s able to slowly punch his way through the Azbantium (a substance 400 times tougher than diamond) wall blocking his exit, eventually revealing that the Doctor had in fact been inside his own confession dial all along. 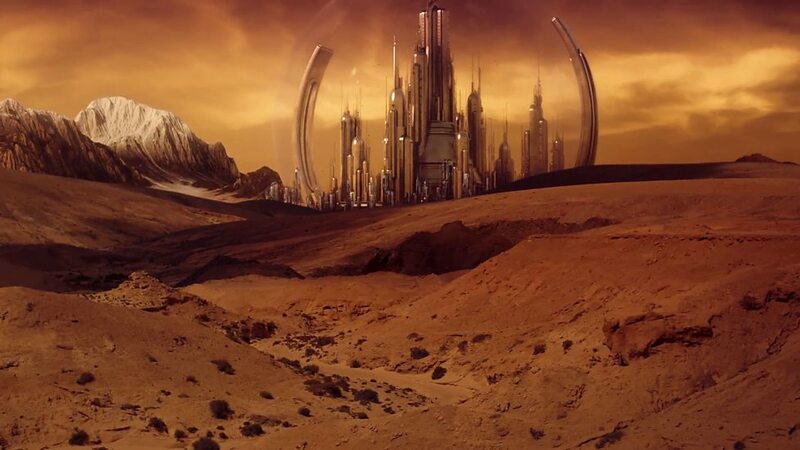 Meanwhile the planet he has been transported to is none other than Gallifrey itself. 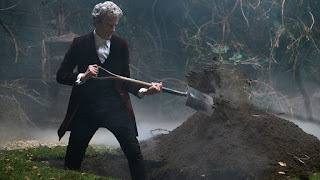 Ignoring some of the silly questions this sequence raises (why was the Doctor punching his way through when he had a perfectly good spade at his disposal? ), this is Doctor Who drama at its very best. The Doctor’s dying words as he repeats the same sequence over and over until he finally breaks through to that revelation – it’s an incredibly satisfying end that completely justifies the slow atmospheric build up preceding it. And what about those final few lines? The Doctor may have said “the hybrid is me”, but how many among us are speculating that this line could have in fact been “the hybrid is Me”? After all, the next episode preview revealed that Ashildr will be back once again and this exactly the kind of bait-and-switch setup Steven Moffat excels at. Of course it could also equally turn out just to be one big misunderstanding – the Doctor certainly isn’t half Dalek after all, just like he said (and we all know what happened to the last Dalek that tried to go hybrid). As long as the show isn’t attempting to go down the ill-fated half human route of the 1996 TV movie again all will be well. Heaven Sent is more than just an excellent Doctor Who episode – it’s the kind of episode that will go down as an all-time classic. 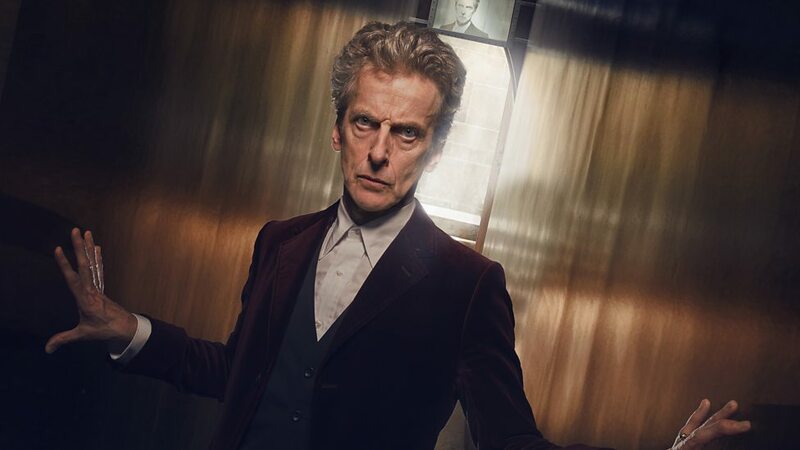 This is an example where experimentation has truly paid off for the series, giving Peter Capaldi an episode that will surely define him as the Doctor (there have been a few previously that have come close, but it’s definitely going to be this one) and the audience an adventure that’s both emotional, thrilling and quite unlike anything that’s ever come before it. Bravo Peter Capaldi, bravo Steven Moffat and bravo Rachel Talalay – you and everyone else who worked on this episode have excelled yourselves. 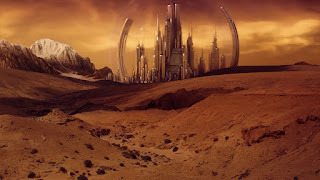 Next week: The Doctor may be finally home on Gallifrey, but he’s not happy. In fact, he’s Hell Bent.